The spectacular sounding Marvel Experience is happening in San Diego right now. For us in LA, this is the closes it will be for the foreseeable future. From what we've read and heard the experience combines memorabilia museum, ride and activity center. It's for young fans and old ones. Become a SHIELD Agent in a day. Coming up at the end of next month will be Marvel Universe Live, also not directly hitting LA. The closes it will get will be Anaheim. 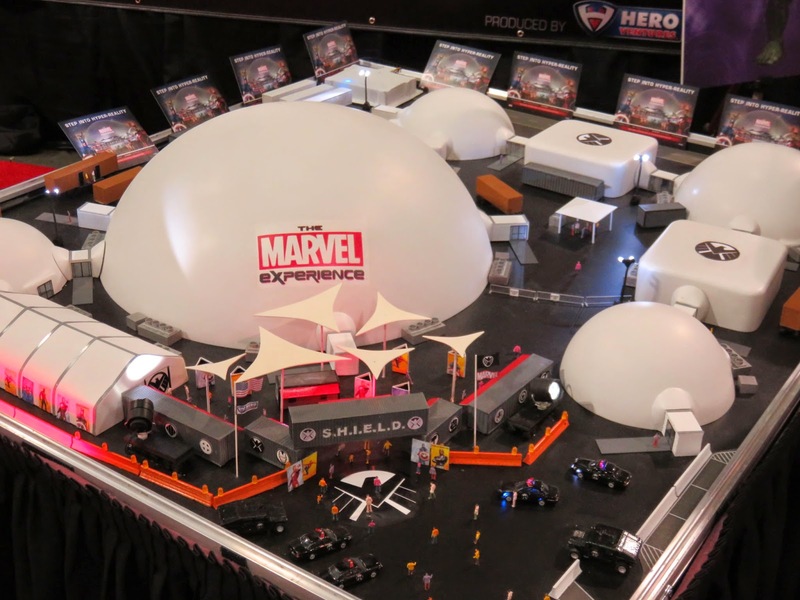 The show features live action stunts and battles with Marvel heroes and villains. After the farce and boredom of the Batman musical in LA, I say, "Neh!" If you have a children, Marvel Universe Live is for them. For the older fan, wait for another Marvel film to drop this Summer. Kind of strange two on the road theme parks are happening, but Disney can't finalize a Marvel and Star Wars Land or theme park here in California.